New! Check out the new reinforced 7mm Ecotile for vehicles! Bright and light coloured floor tiles have always been a problem where tyres are concerned. But not anymore! Our industrial floor tiles have always been highly popular with people looking for a tough reliable solution for their garages. But one of the drawbacks has always been a chemical reaction that takes place when you leave rubber car or motorbike tyres on a light coloured tile. The process can often lead to discoloration and some pretty unattractive greeny-brown staining. Up until now the solution has always been to use darker coloured tiles to hide any staining that might take place. Lots of you have wanted to use lighter colours in your garage areas and we have always had to advise you against it. It did not make us happy. 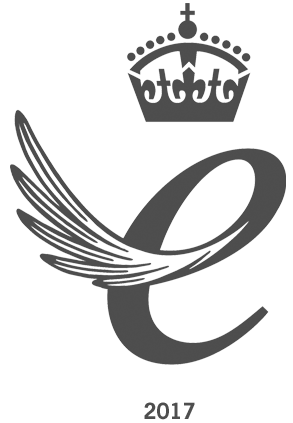 Now thanks to the ‘tireless’ efforts of our Research & Development Team Ecotile can now offer these fabulous new tiles that are completely unique to the market. The completely new and unique 7mm thick smooth textured tile comes with a 3mm thick metal plate that sits flush, right in the centre of the tile. This not only gives a very cool industrial effect but provides an incredibly practical solution to an old problem. Just place four of these special tiles on your Ecotile floor and you will have a designated parking space that allows your car tyres to sit on metal plates. This prevents any staining and allows you to choose any colour floor tiles you wish. They’ve proven to be ever so popular with our motorbike owning customers too. Introducing a reinforced tile to your garage provides an excellent surface to support your motorbike stand. 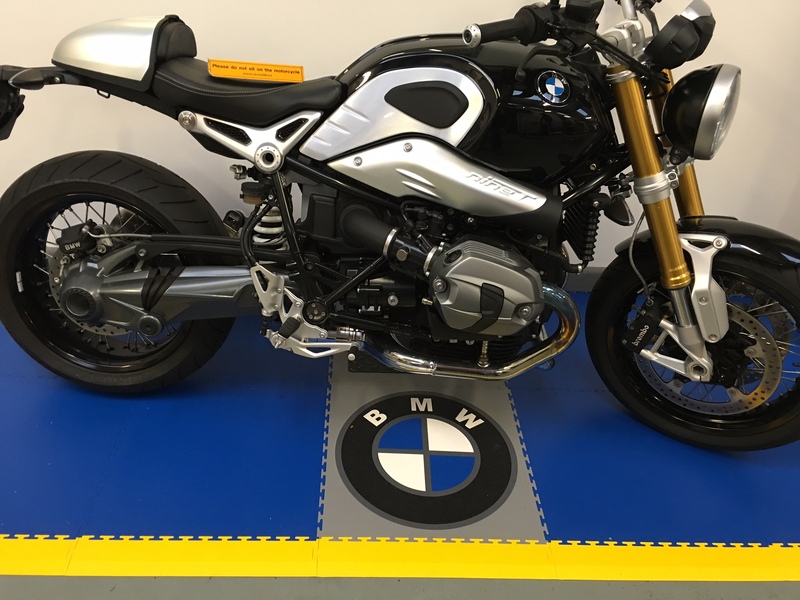 We showed them to one of our clients who runs a BMW motorbike dealership and , as you can see from this photo, they installed them in their showroom straight away.